Comprising of 14 self contained offices on two levels, with air conditioning, this modern office block is located on the popular Lion Barn Industrial Estate on the outskirts of Needham Market. 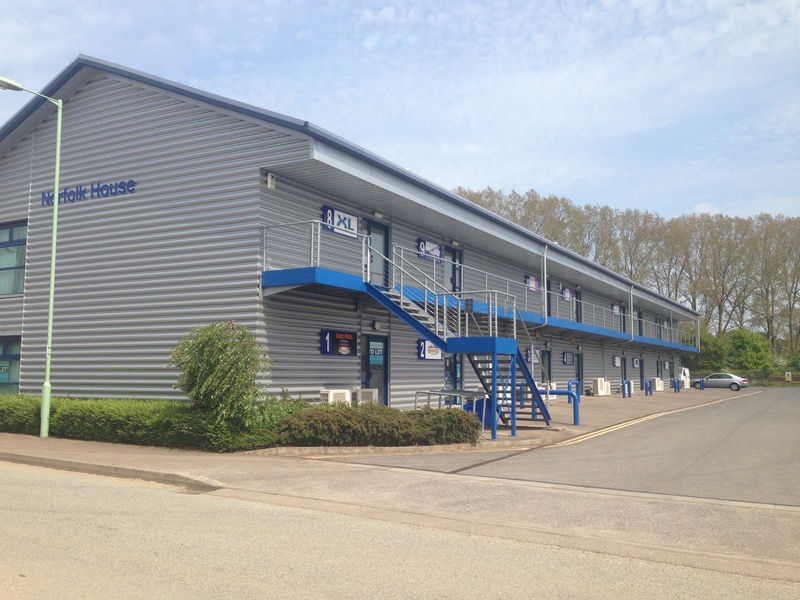 Available with our flexible Easy Let Leases, each office is approximately 700 sq. ft and double units are 1400 sq ft. The first floor is accessed by either an external or internal staircase or a lift. The building is fronted with landscaped areas and has its own private communal car park.